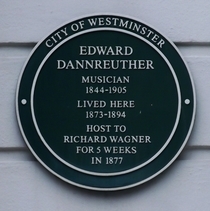 Edward Dannreuther, musician, 1844 - 1905, lived here 1873 - 1894. 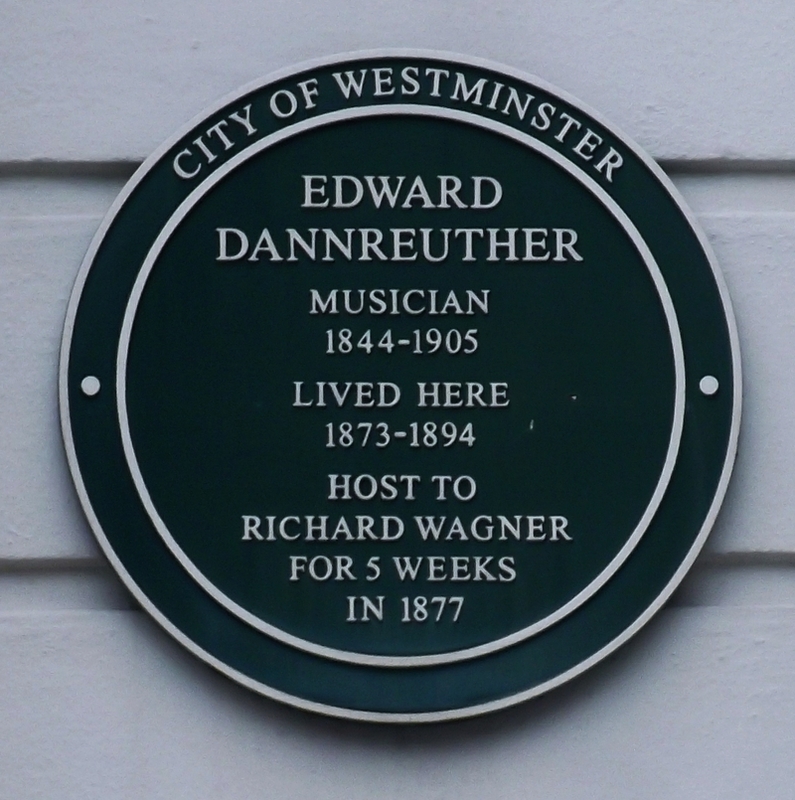 Host to Richard Wagner for 5 weeks in 1877. Unveiled on Hancock's 90th birthday by scriptwriters Galton and Simpson.